Time to satisfy our craving! 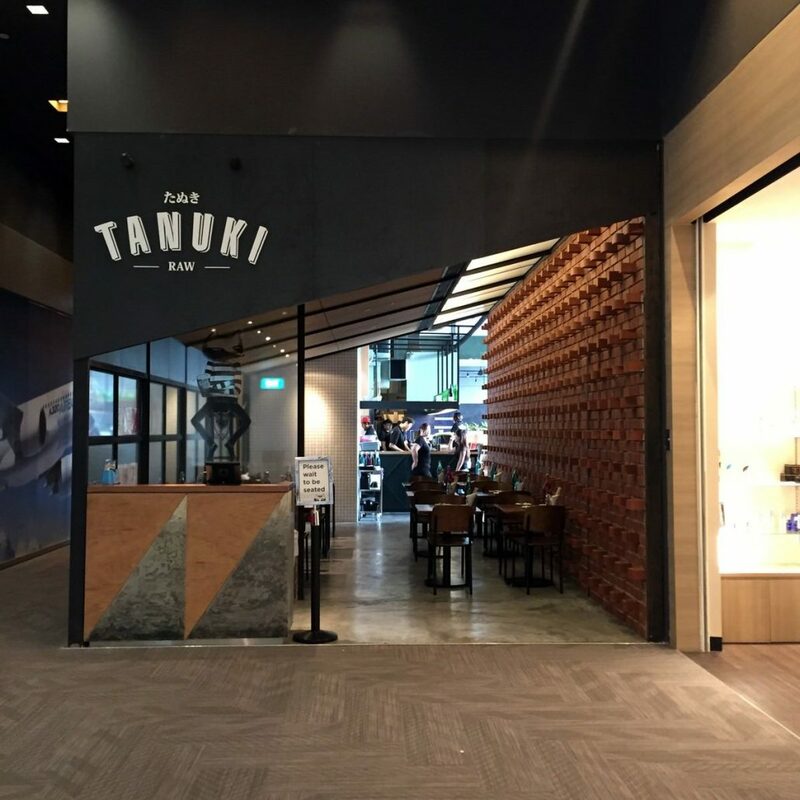 This time we came to Tanuki Raw which combines the best of food quality, value, and service! 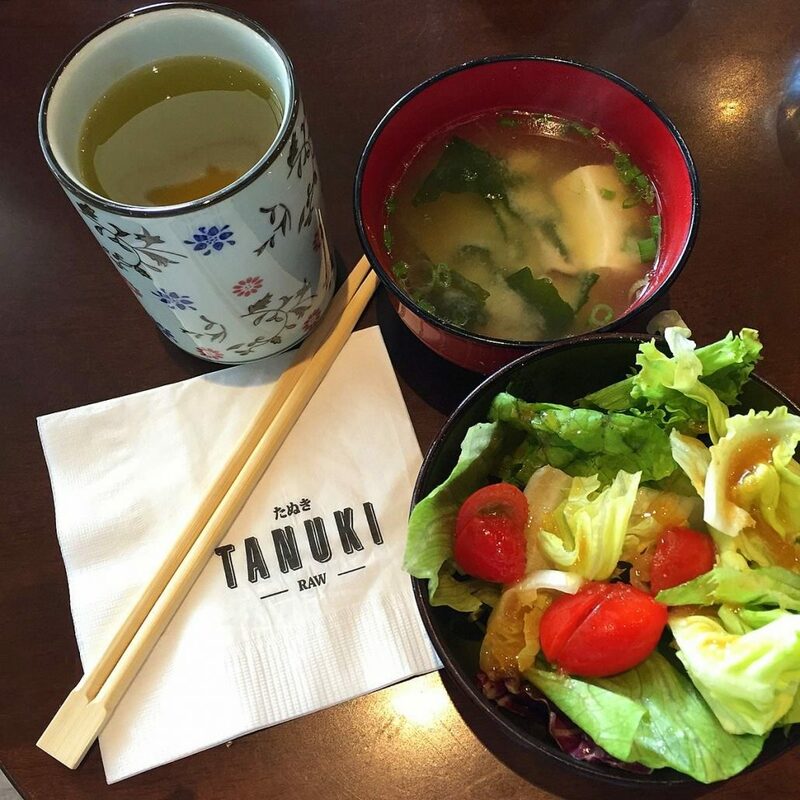 If you have not tried Tanuki Raw, you really need to! Open concept bar seats where you can observe the preparation of your food and beverage! 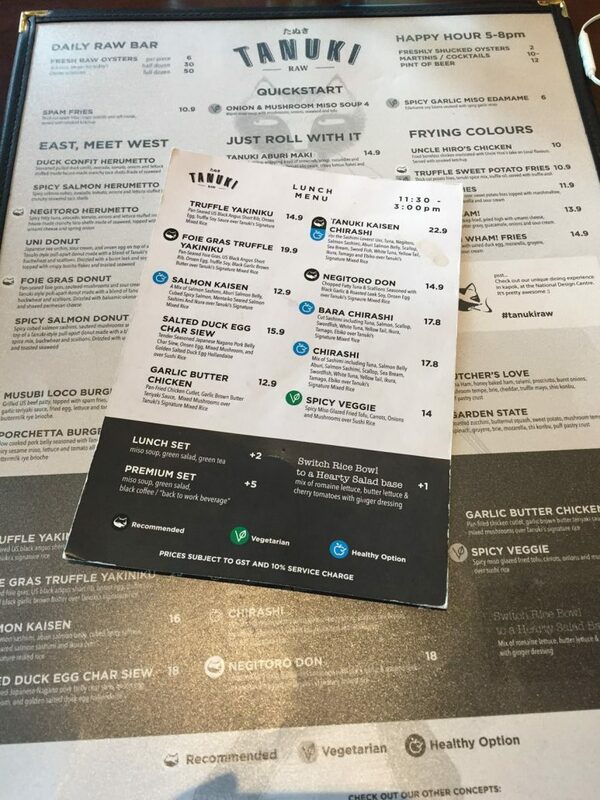 Let’s look at the menu! Lunch time menu available from 11:30-3:00pm. If you are feeling healthy, you can switch your rice bowl to a hearty salad base mix of romaine lettuce, butter lettuce & cherry tomatoes with ginger dressing. 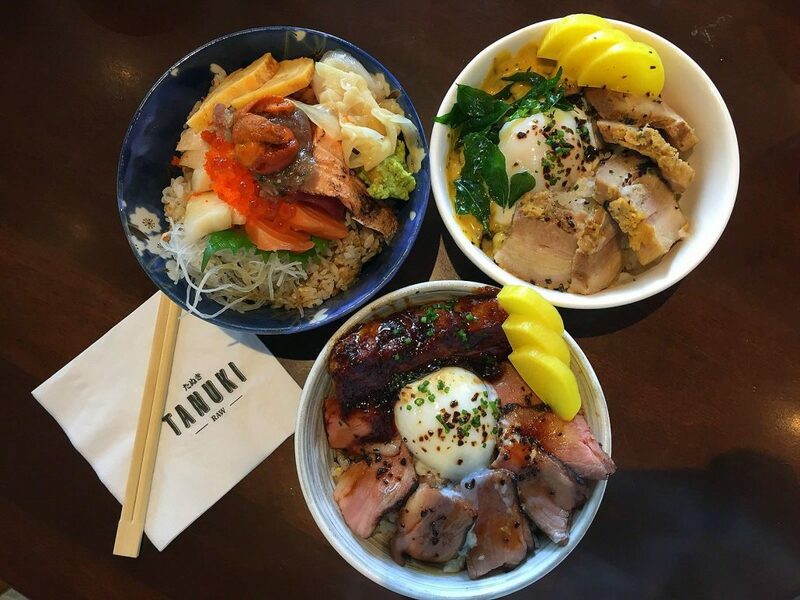 We ordered the Tanuki Kaisen Chirashi, Foie Gras Truffle Yakiniku and Salted Duck Egg Char Siew! Weekdays like this, seriously I wish every day was like this! 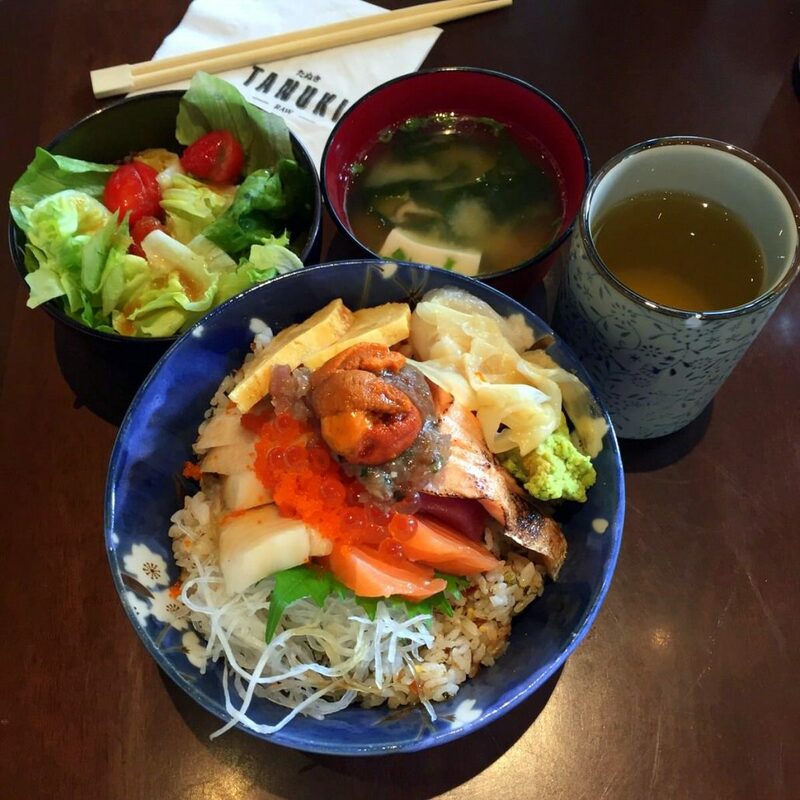 Being sashimi lover, nothing will stop us from ordering this bowl of Chirashi! 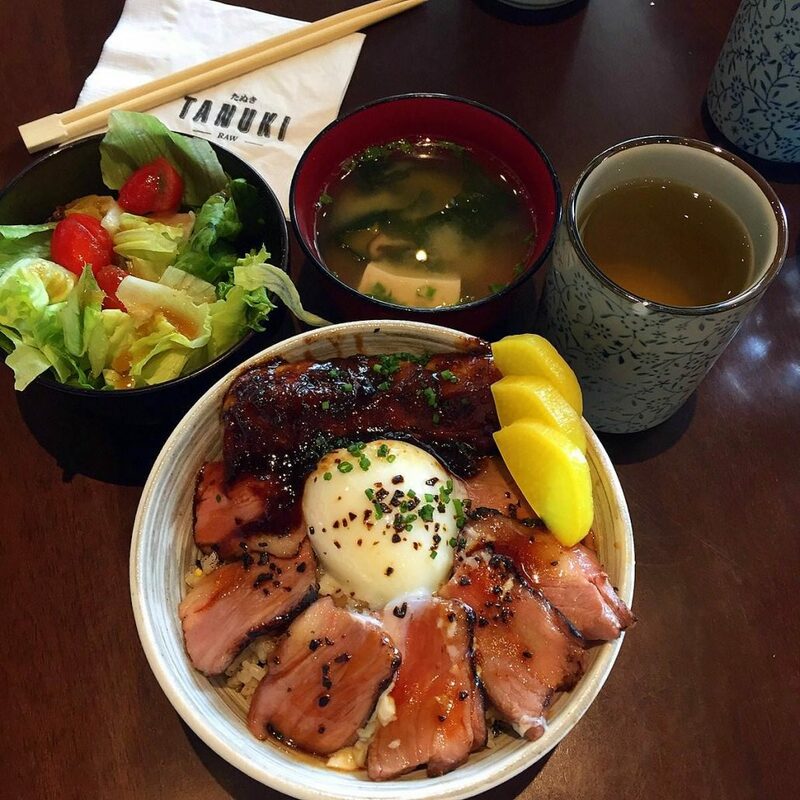 All the goodness in a bowl, Tanuki Kaisen Chirashi ($22.90) is specially designed for the sashimi lovers! Enjoy a generous amount of fresh sashimi heaped over a bed or salad or rice! Uni, Tuna, Negitoro, Salmon Sashimi, Aburi Salmon Belly, Scallop, Sea Bream, Sword Fish, White Tuna, Yellow Tail, Ikura, Tamaho and Ebiko over yummy Tanuki’s Signature Mixed Rice. Besides sashimi, we also ordered the Foie Gras Truffle Yakiniku ($19.90) which is also my favourite dish! The combination of Pan-Seared Fatty Foie Gras and US Black Angus Short Ribs with Onsen Egg, Truffle Soy is heavenly! Foie gras is pan-seared to perfection, immersed into a flavour that tastes like ‘char siew sauce’, and melts in your mouth! Black Garlic Brown Butter with onsen egg over Tanuki’s Signature Mixed Rice made the rice tastier!! That is the PERFECT ONSEN EGG! Tanuki oozy onsen egg never fails! Oh gosh, the egg was simply amazing! 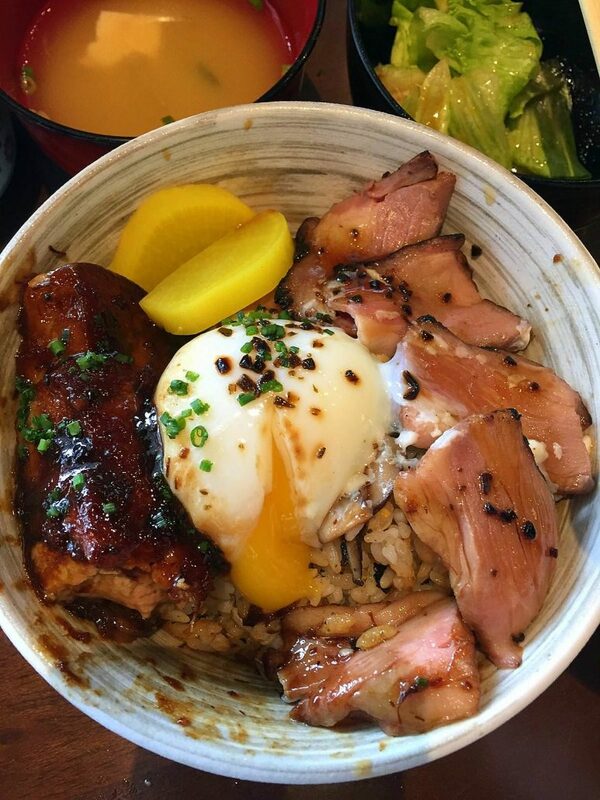 We also tried the Salted Duck Egg Char Siew ($15.90) which is consist Tender Seasoned Japanese Nagano Pork Belly Char Siew, Onsen Egg, Mixed Mushroom, and Golden Salted Duck Egg Hollandaise over Sushi Rice. So-so only. I didn’t really like this but my mum like it. The salted duck egg hollandaise sauce was a little lacking. This dish was less flavourful as compared to the rest. 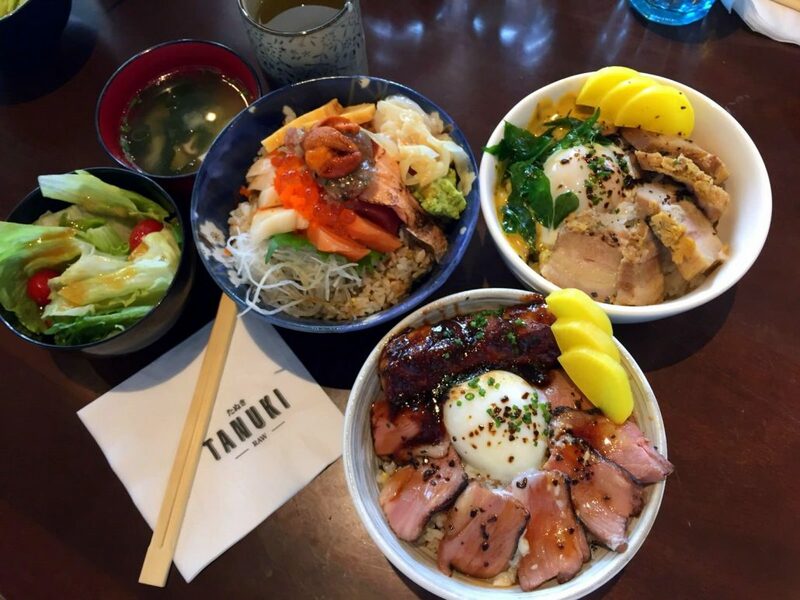 We love Tanuki Raw for its variety of delicious and interesting Japanese fusion cuisine! 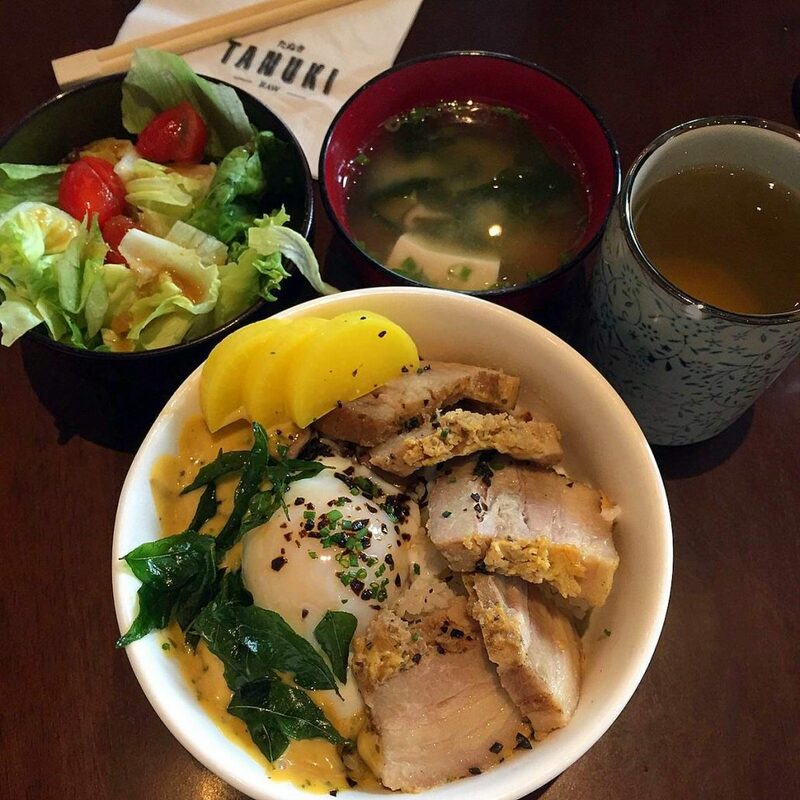 Tanuki Raw have been consistent with their standards and always deliver the same good taste! The taste and portion is definitely value for our money! Before we left, we voted which was our personal favourite! Grace Mummy: I choose the Salted Duck Egg Char Siew! Candyce: I like Tanuki Kaisen Chirashi! Me: My fav is the Foie Gras Truffle Yakiniku! We couldn’t decide which was best because they each of them are unique in its own way! HAHA So it’s for you to try! HAHA So it’s for you to try! Comment below and let me know which is your favourite dish! We will definitely be coming back for more!